The following are results from Sussex Northern magistrates sitting at Horsham and Crawley. Zoe Abrahams, 20, of Park House Drive, Reigate, was banned from driving for 18 months, with a £250 fine, a £25 victim surcharge, £85 costs, and a £150 criminal courts charge. She had pleaded guilty to drink driving in Crawley. Simone Gallagher, 21, of Welwyn Close, Bewbush, was given a one year conditional discharge, with a £15 victim surcharge, and a £150 criminal courts charge. She had pleaded guilty to being drunk and disorderly, and to causing criminal damage in Crawley. Iwona Duleba, 27, of Treeview, Crawley, was given a four month jail sentence, suspended for two years, with £250 compensation. 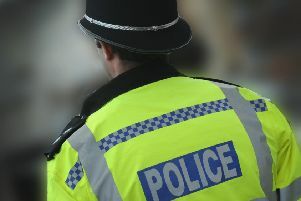 She had pleaded guilty to assaulting a police officer, being drunk and disorderly, and to two counts of common assault, and admitted breaching a conditional discharge, all in Crawley. Kathy Beecham, 51, of Forge Lane, Crawley, was fined £660, with £220.84 vehicle excise back duty, £90 costs, and a £150 criminal courts charge. She had been convicted in her absence of keeping an unlicensed vehicle on a public road. Samuel Familton, of Holyrood Place, Crawley, was fined £290, with £120 vehicle excise back duty, £90 costs, and a £150 criminal courts charge. He had pleaded guilty to keeping an unlicensed vehicle on a public road. Stephen Lee, 39, of Wells Road, Tilgate, was fined £440, with £75 vehicle excise back duty, £90 costs, and a £150 criminal courts charge. He had been convicted in his absence of keeping an unlicensed vehicle on a public road. Roza Ziolkowska, 26, of Dobson Road, Crawley, was fined £660, with £131.75 vehicle excise back duty, £90 costs, and a £150 criminal courts charge. She had been convicted in her absence of keeping an unlicensed vehicle on a public road. Hamid Akbar, 37, of Sheppey Close, Crawley, was fined £100, with a £20 victim surcharge, and £200 costs. He had pleaded guilty to driving without a seatbelt. Jade Broad, 23, of Sandhill Lane, Crawley Down, was given a two year conditional discharge, with a £15 victim surcharge, and and £100 costs. She had pleaded guilty to two counts of neglecting a child. Jon Mitchell, 26, of Sandhill Lane, Crawley Down, was given a two year conditional discharge, with a £15 victim surcharge, and and £100 costs. He had pleaded guilty to possessing a Class B drug (cannabis), and to two counts of neglecting a child. Jozsef Kasa, 35, of Highams Hill, Crawley, was banned from driving for 21 months, with a £140 fine, a £20 victim surcharge, £85 costs, and a £150 criminal courts charge. He had pleaded guilty to drink driving at Bolney. Ben Lupton, 31, of Brooklands Road, Crawley, was banned from driving for 20 months, with a £405 fine, a £41 victim surcharge, £85 costs, and a £150 criminal courts charge. He had pleaded guilty to drink driving at Crawley. Christina O’Keeffe, 36, of no fixed address, was fined £80, with £80 compensation, a £20 victim surcharge, and a £150 criminal courts charge. She had pleaded guilty to assaulting a police officer and failing to asnwer bail, and admitted breaching a conditional discharge. Ian Cole, 56, of Venner Close, Redhill, was fined £220, with a £22 victim surcharge, £85 costs, and a £150 criminal courts charge. He had been convicted in his absence of using a vehicle without an MoT certificate at Crawley. Anthony Mexter, 37, of Tandridge Drive, Orpington, was fined £135, with a £20 victim surcharge, £85 costs, a £150 criminal courts charge, and three penalty points added to his licence. He had pleaded guilty to speeding at Crawley. Scott Milne, 40, of Worth Park Avenue, Crawley, was fined £220, with a £22 victim surcharge, £85 costs, and a £150 criminal courts charge. He had been convicted in his absence of using a bicycle on a footpath at Crawley. Roland Kiss, 32, of North Road, Crawley, was fined £280, with a £28 victim surcharge, £85 costs, a £150 criminal courts charge, and six penalty points added to his licence. He had pleaded guilty to driving without insurance at Gatwick. Kunjan Shukla, 35, of Mowbray Drive, Crawley, was fined £35, with a £20 victim surcharge, £85 costs, a £150 criminal courts charge, and three penalty points added to his licence. He had pleaded guilty to driving without a licence at Crawley. Christopher Tower, 25, of Vulcan Way, Wallington, was banned from driving for six months, with a £1,100 fine, a £66 victim surcharge, and £85 costs. He had been convicted in his absence of driving without insurance, and driving with a worn tyre, at Crawley. Kamleshkumar Chaudhary, 31, of Gossops Parade, Crawley, was banned from driving for a year, with a £555 fine, a £55 victim surcharge, £85 costs, and a £150 criminal courts charge. He had pleaded guilty to drink driving at Crawley. Nigel Dawes, 28, of Giffards Close, East Grinstead, was ordered to pay £250 compensation and £50 costs. He had pleaded guilty to causing cirminal damage to the entrance door of a restaurant in Crawley Down. Katarzyna Golubowska, 27, of Northgate Road, Crawley, was given a six month conditional discharge, with £50 compensation, a £15 victim surcharge, £85 costs, and a £150 criminal courts charge. She had pleaded guilty to common assault in Crawley. Lee Rosier, 30, of Grange Road, Billericay, was fined £80, with a £20 victim surcharge, £85 costs, and a £150 criminal courts charge. He had pleaded guilty to using threatening, abusive or insulting words or behaviour at Gatwick Airport. Jo Heard, 39, of no fixed address, was given a one year conditional discharge, with a £15 victim surcharge, and a £150 criminal courts charge. She had pleaded guilty to being drunk and disorderly in Crawley. Andrew White, 26, of Furzefield, West Green, was given a four month jail sentence, suspended for a year, with an £80 victim surcharge, £300 costs, and a £520 criminal courts charge. He had pleaded guilty to resisting a police officer, assaulting a police officer, and failing to answer bail, and been found guilty of assaulting a police officer, and two counts of being drunk and disorderly. Gary Austin, 27, of Martello Road, Folkestone, was given a community order with 120 hours of unpaid work, a £165 fine, £100 compensation, £300 costs, and a £180 criminal courts charge. He had pleaded guilty to causing racially aggravated harassment, alarm or distress, and to resisting a police officer in Crawley, and admitted breaching a suspended sentence. Darren Lovell, 39, of Wychwood Road, Furnace Green, was given a one year conditional discharge, with a £15 victim surcharge, £300 costs, and a £150 criminal courts charge. He had pleaded guilty to common assault in Crawley. John Hammett, 24, of Ophir Road, Portsmouth, was fined £185, with a £20 victim surcharge, £85 costs, a £180 criminal courts charge, and £50 compensation. He had pleaded guilty to being drunk and disorderly, possessing a Class B drug (ketamine), and assaulting a police officer, all at Gatwick Airport. Monique Moss, 39, of no fixed address, was given a community order with nine months of drug rehabilitation, a £60 victim surcharge, and a £150 criminal courts charge. She had pleaded guilty to stealing coffee from a Co-op in Crawley, and to failing to answer bail. Saagar Patel, 23, of Worthing Road, West Grinstead, was banned from driving for 16 months, with a £460 fine, a £46 victim surcharge, £85 costs, and a £150 criminal courts charge. He had pleaded guilty to drink driving at Crawley. Leslie Turner, 38, of Stephenson Way, Crawley, was fined £50, with a £20 victim surcharge, £85 costs, and a £150 criminal courts charge. He had pleaded guilty to common assault and causing cirminal damage to crockery, both in Crawley. Sian Trevelyan, 44, of The Hemsleys, Pease Pottage, was banned from driving for 20 months, with an £850 fine, an £85 victim surcharge, £775 costs, and a £520 criminal courts charge. She had been found guilty of drink driving at Copthorne.